A generally agreed upon definition of obesity is a body weight 20% or more above ideal, with individuals weighing 10–20% over ideal considered overweight. Weight gain will occur when a cat consumes calories in excess of its energy expenditure. Such a scenario can happen all too easily given the pampered lifestyle of many domesticated cats. 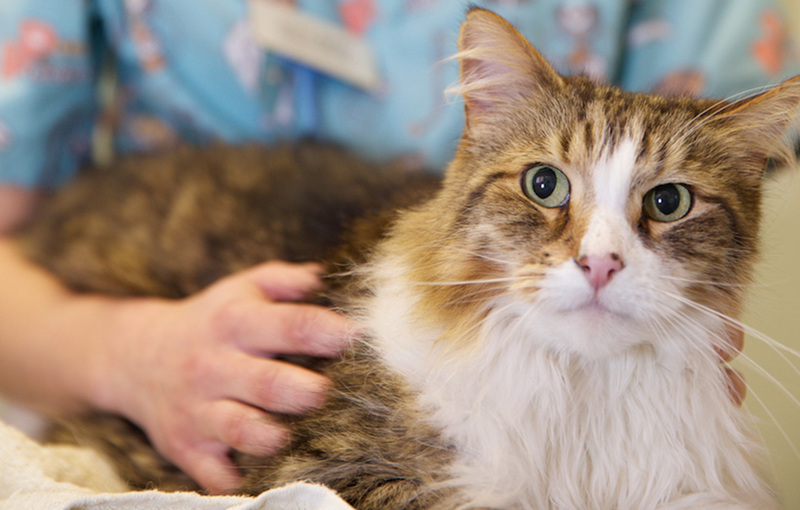 Feline obesity is very common and often leads to health related medical issues. It can shorten their life span and reduces their quality of life. Health risks include diabetes mellitus, lameness, non-allergic skin disease, feline lower urinary tract disease and idiopathic hepatic lipidosis. In general, it is not enough simply to feed a cat less of its normal diet. Not only will the patient be unhappy and feel hungry, but all nutrient quantities will be decreased, not just the calories, because commercial diets are balanced according to energy content. 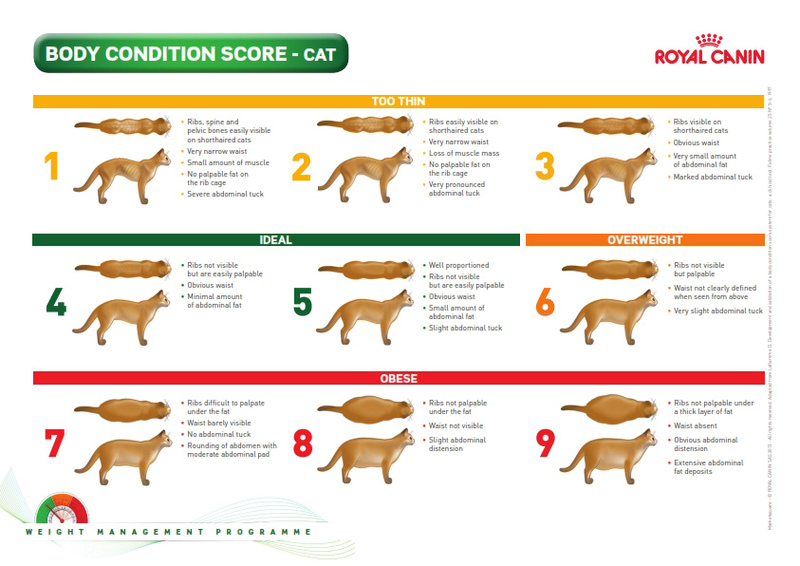 This is why we recommended a good quality weight loss diet such as the Royal Canin obesity or satiety range. Here at Cat’s Whiskers we also offer rewards cards and free weight loss programmes to try to help with feline obesity. A possible exception to this might be a cat that is only moderately overweight, in which case restriction or elimination of treats along with a modest reduction in the normal diet may be sufficient to permit weight loss. If treats are being eliminated, another non-caloric ‘treat’ (e.g., interaction through play, combing or catnip) can be substituted. It has been reported in some developed countries that as much as 40–50% of the feline population may be overweight or obese, with middle-aged cats, male cats, mixed-breed cats and neutered cats being at greatest risk. A recent study found measuring cups to be very imprecise for portioning. 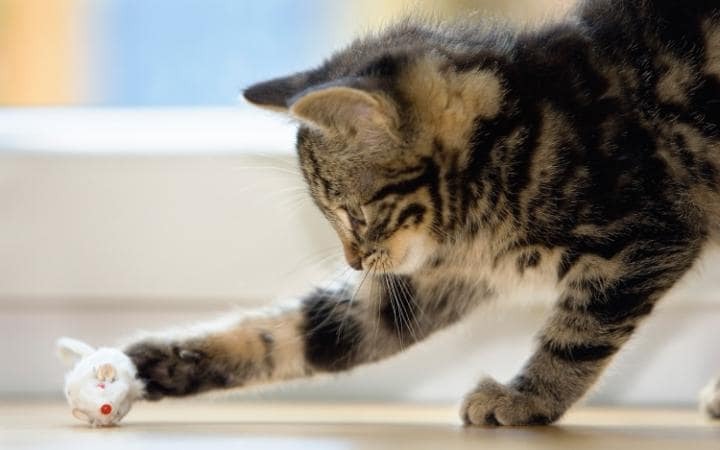 Each excess of 0.5 kg (1.1lbs) on a cat is equal to approximately 6.8 kg (14.9lbs) on the average 5’4″ adult woman and 7.7 kg (16.9lbs) on the average 5’9″ adult man. A 4 kg cat consuming a mere 10 kcal/day in excess of its daily energy needs (the equivalent of about 10 kibbles) will gain 12% of its body weight in just 1 year. 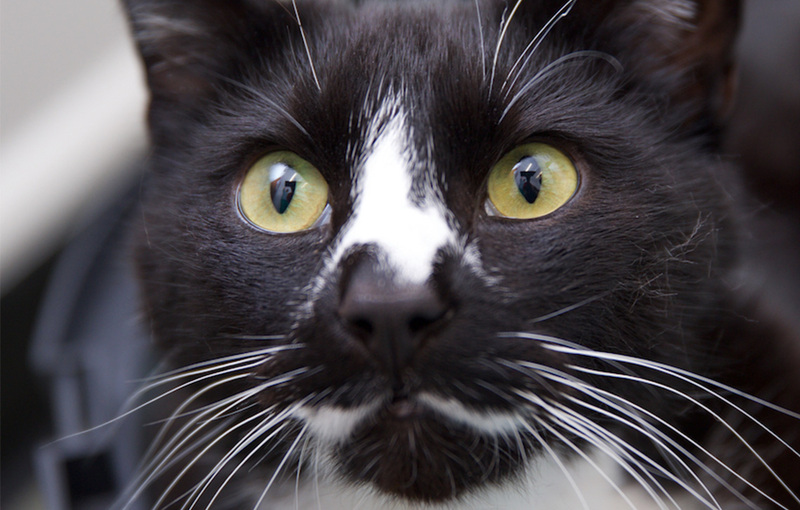 Take in to account treats that are given to your cat and reduce their diet accordingly. Treats should be given on occasion rather than given every day at set times like their meals as cats will very quickly form a habit and think of these treats as a normal daily routine. Weigh the food out with scales rather than using measuring cups. Use a good quality/ high protein diet. High protein protects lean mass and can enhance satiety (making the cat feel fuller for longer) and also helps with muscle mass. 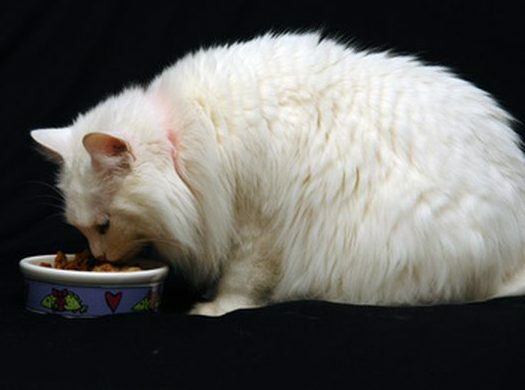 It is best to increase the wet food and decrease the dry as wet food has more water and less fat/ calories. Cats are more likely to prefer dry diets so it may take a little time to encourage a more wet based diet. Home-made gadgets can be constructed relatively simply as well. A good DIY option is to construct a pyramid of cardboard tubes (e.g., from paper towel rolls) laid horizontally and glued together. 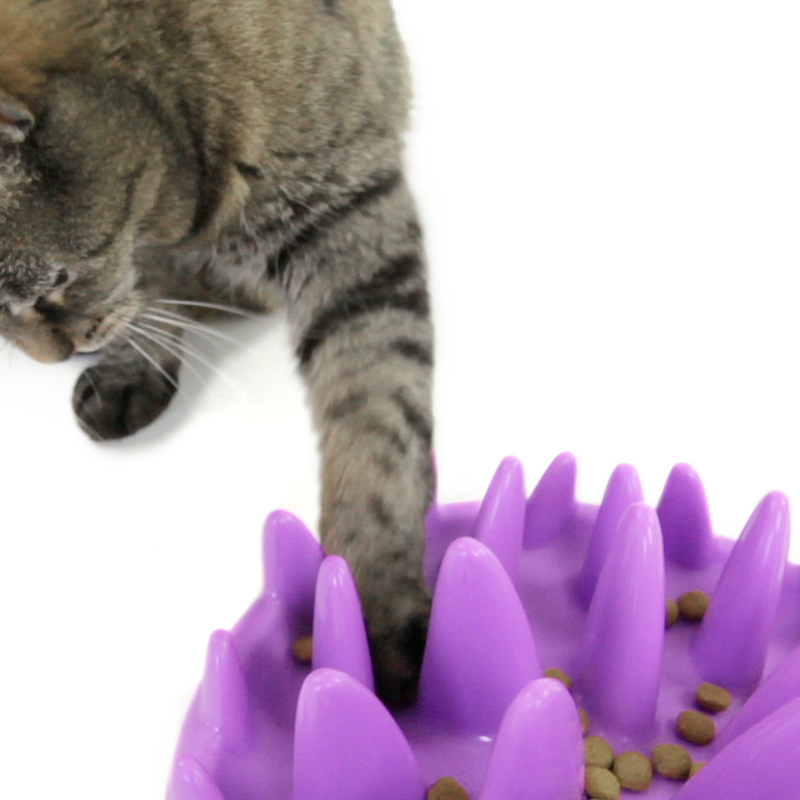 This requires the cat to reach into the tubes to pull kibble out. Not only does this result in engaged behaviour and a reduction in boredom, but it also slows down eating behaviour. There are also treat balls and interactive cat feeders that you can buy, which we do also keep in stock here in our reception area. 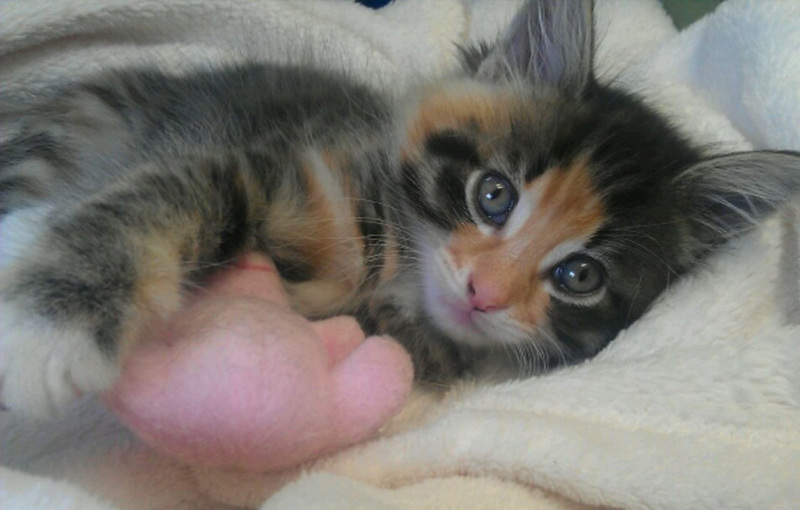 Try to encourage play and exercise and by providing them with toys and cat trees etc. Cats like to interact with their owners and this can build a strong bond with your cat, instead of just interaction through food. Why not come and visit us to get further advice or book in to see myself, Lucy, or our fantastic nurse Vicky for a free weight check.